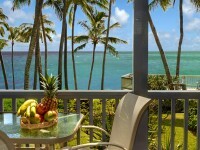 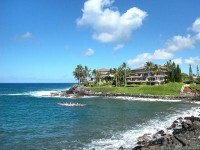 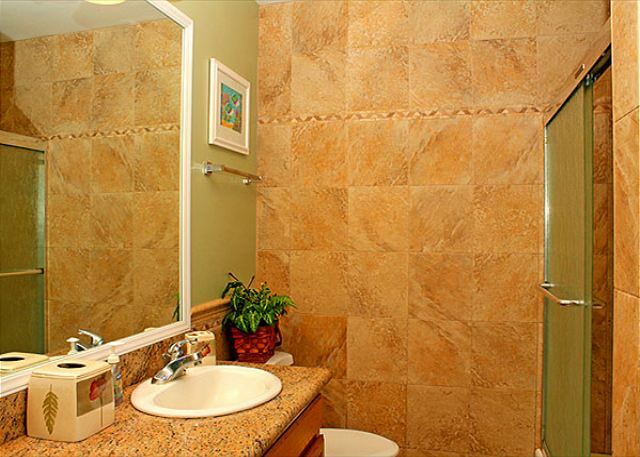 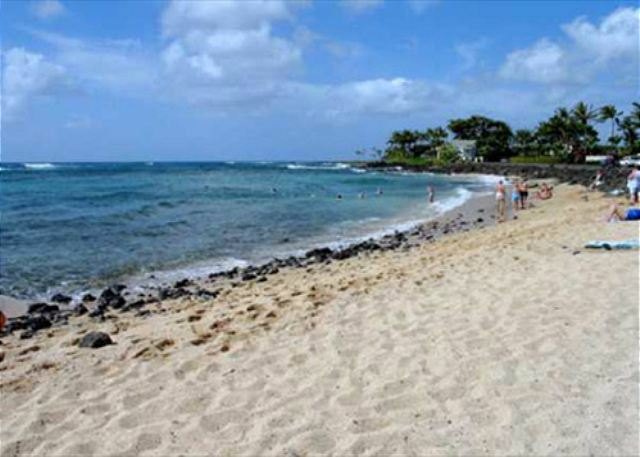 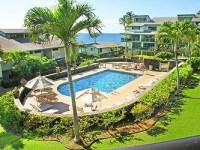 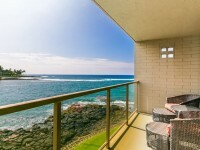 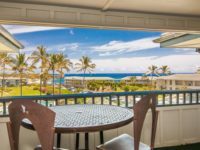 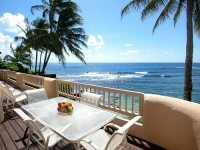 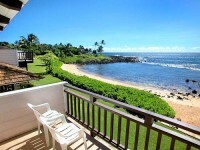 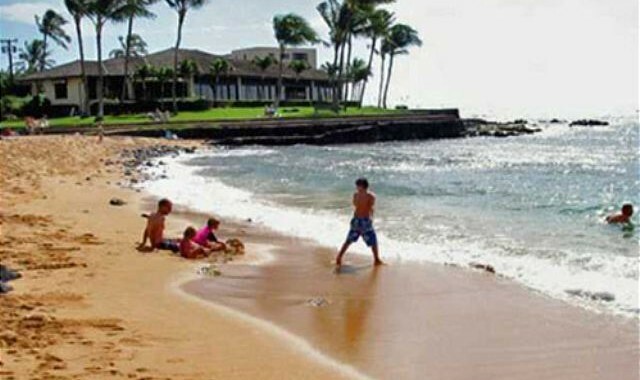 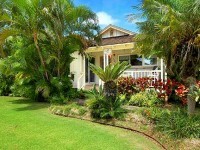 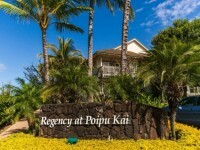 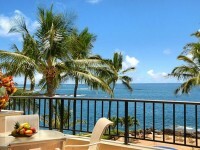 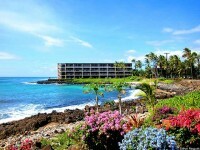 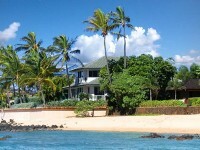 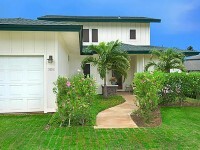 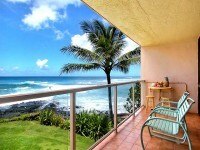 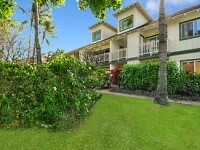 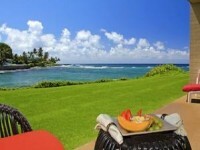 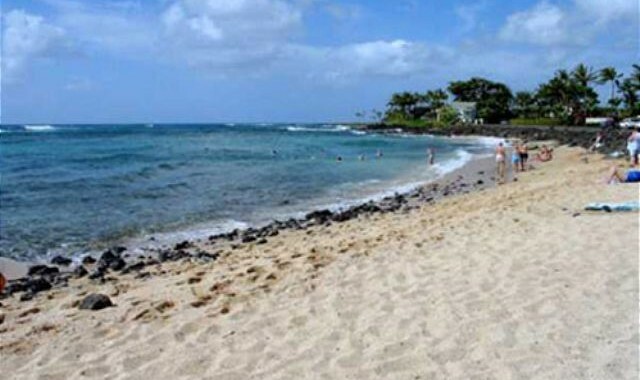 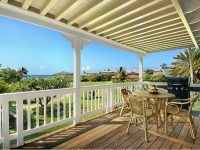 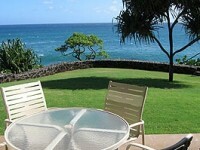 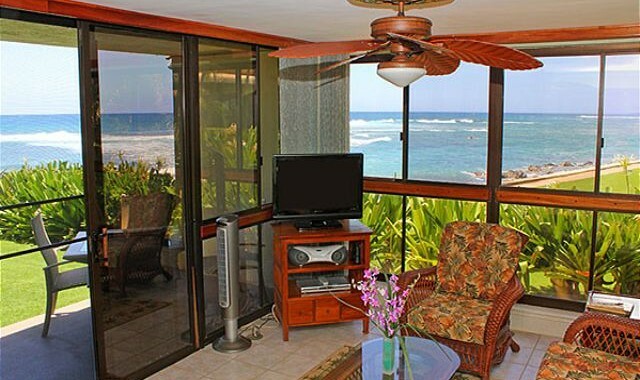 POIPU, KAUAI VACATION RENTAL: Condo #119 is a 2 bedroom/ 2 bath, ground level unit at the incredible Kuhio Shores in Poipu. 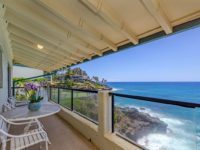 The owners searched the world for this incredible oceanfront condo, and spent a fortune creating an absolute masterpiece of design, and world class quality. 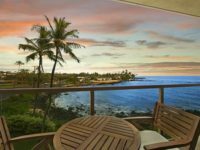 The hard surfaces of this condo consists of the finest Italian marbles and granites, coupled with top-of-the-line fixtures, and tastefully subdued Hawaiian artwork and furnishings. 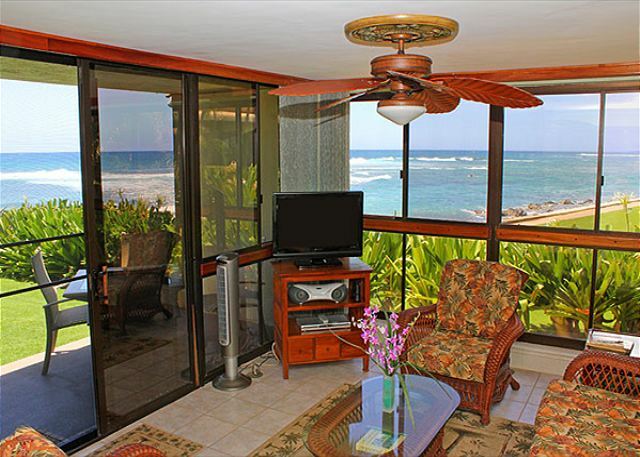 The living/family room is spacious and has a dramatic and truly breathtaking ocean, beach and surf line view. 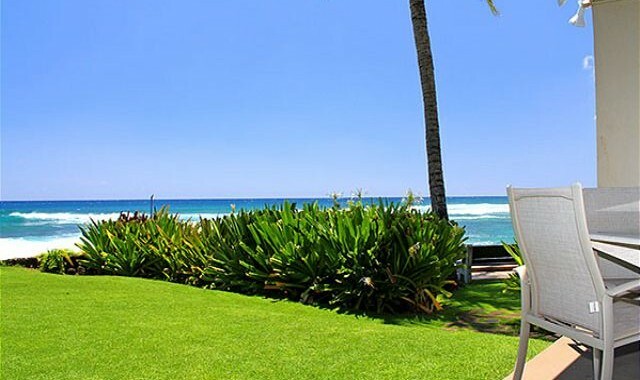 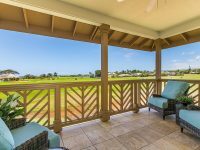 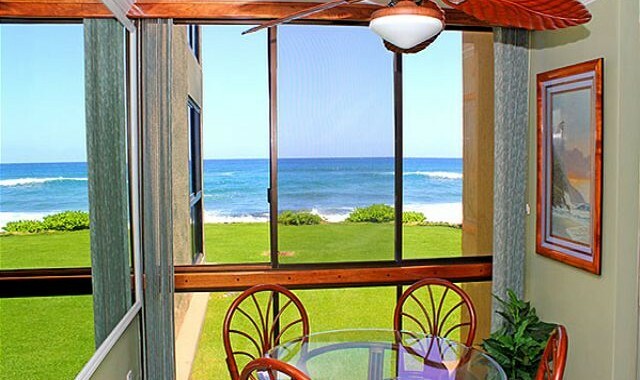 This GROUND FLOOR END UNIT is one of the CLOSEST TO THE OCEAN, and is one of the only Kauai vacation condos that can capture a true 180 degree beach/ocean/surf view. 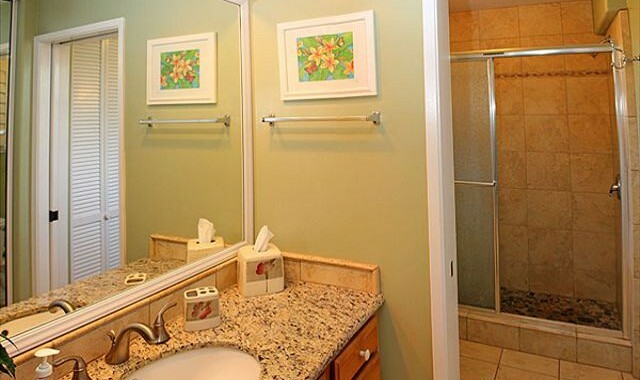 The corner location allows TWO FLOOR-TO-CEILING GLASS WALLS. 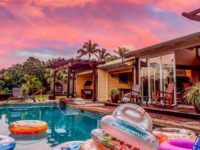 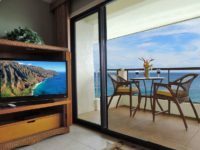 The living room features high quality and tastefully decorated Hawaiian furnishings, a large color Television with remote control, cable television, a VCR for your viewing pleasure, and a high quality stereo system with remote. 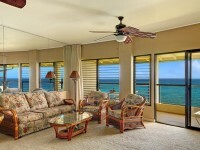 The sounds of the ocean are in every room!!! 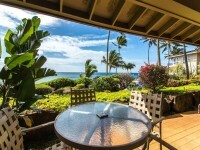 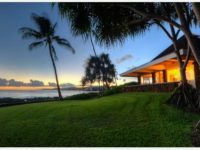 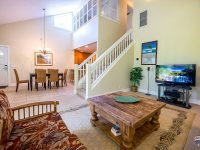 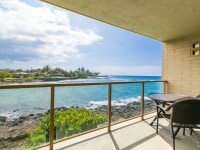 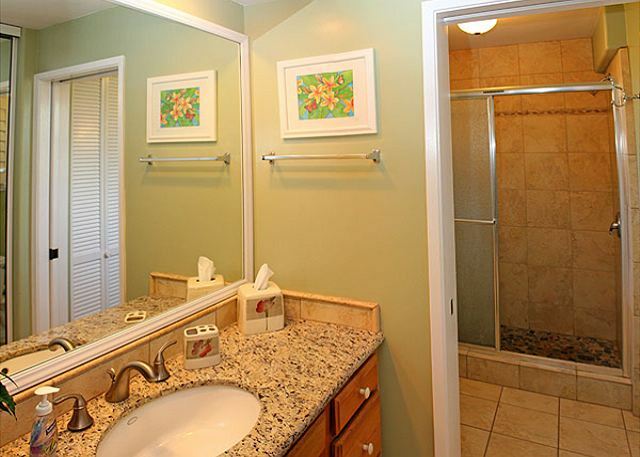 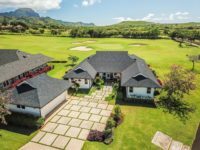 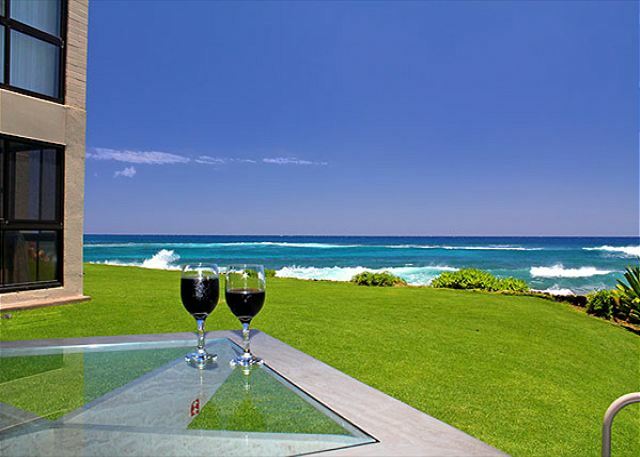 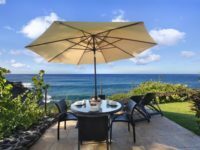 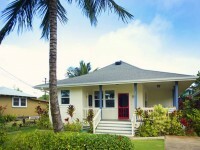 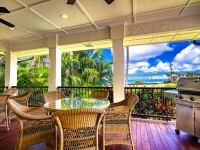 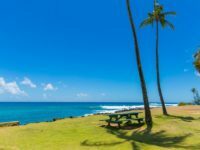 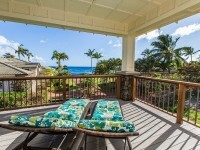 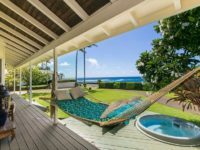 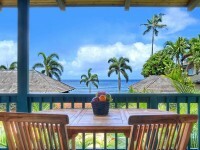 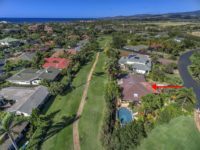 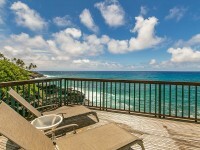 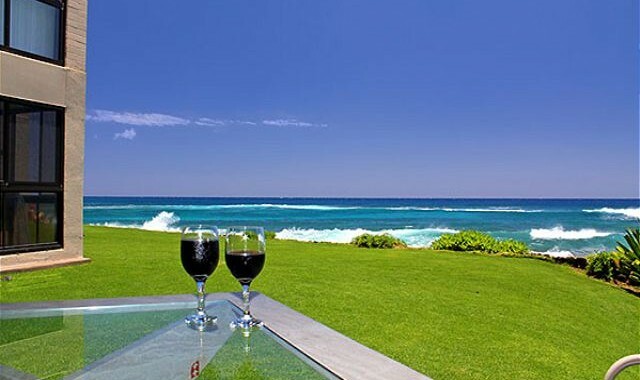 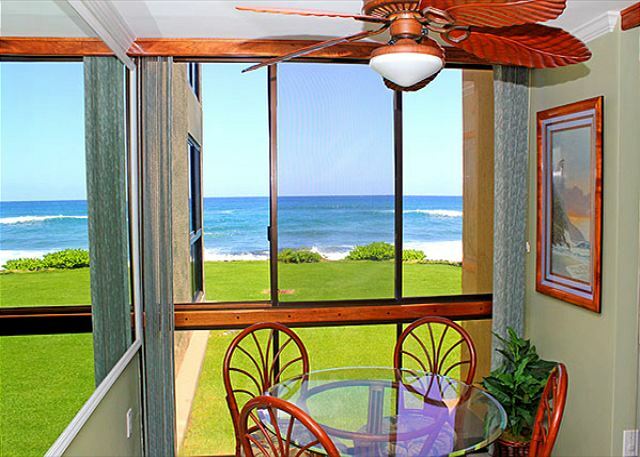 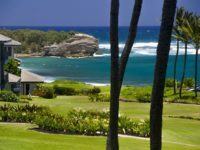 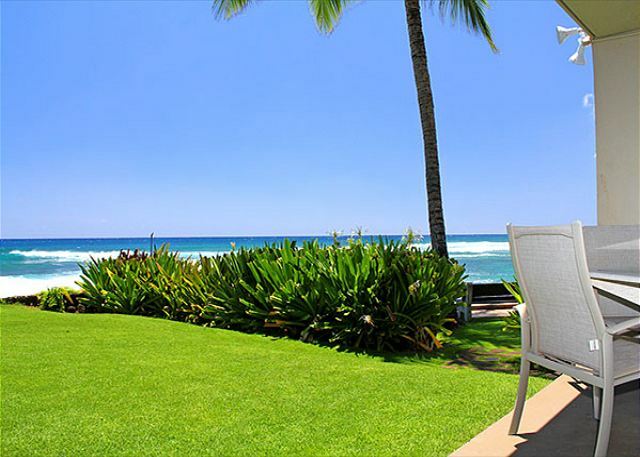 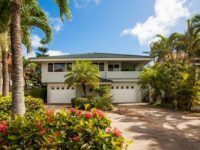 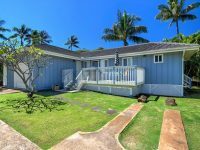 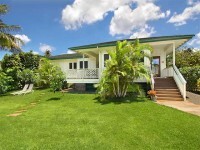 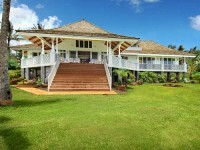 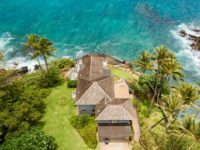 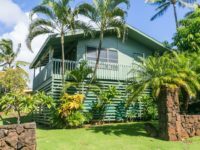 You can whale watch, enjoy beautiful Kauai sunsets, count dolphins and turtles, or enjoy some of the best surfing action on the SUNNY SOUTH SHORE of Kauai while inside this unit. 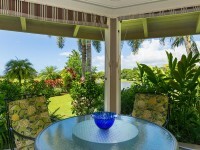 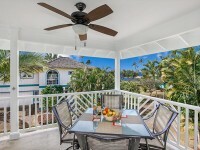 Not to mention the large exterior lanai with top quality outdoor furniture for romantic “alfresco” dining! 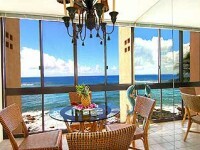 The dining area features a spacious high quality glass table, and four restaurant quality chairs. 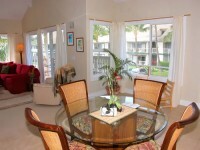 There is also kitchen counter seating for two people on swivel chairs. 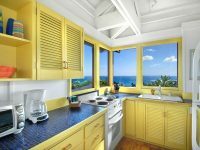 The kitchen is gorgeous, and the setting cannot be duplicated! 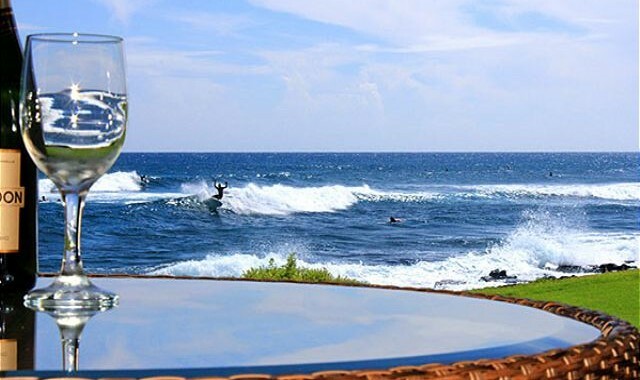 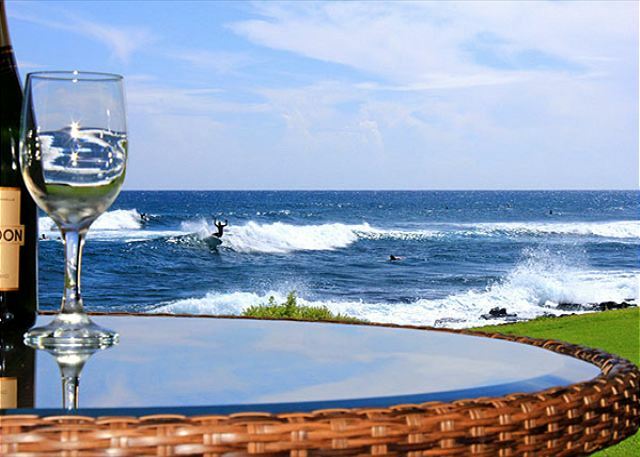 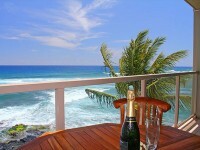 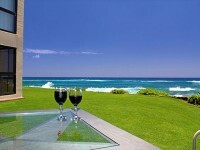 Imagine creating a gourmet dinner while watching surfers catch some of the best waves on the Island 100 feet AWAY!! 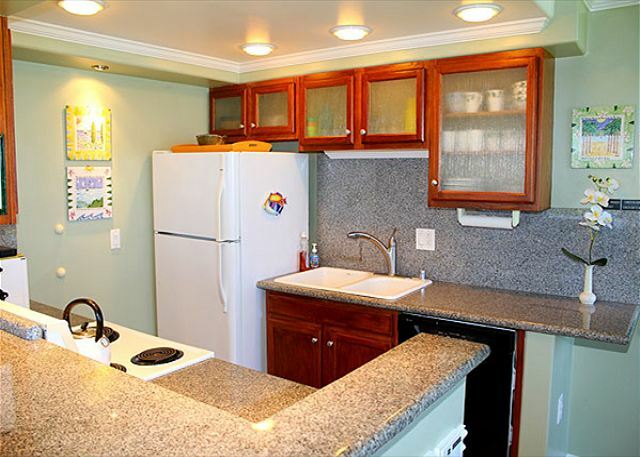 This gourmet kitchen is fully equipped including dishwasher, microwave, stove, oven, blenders, mixers, steamer, coffee maker, crock pot, toaster, pots and pans, quality cutlery, and virtually everything you need to create wonderful meals! 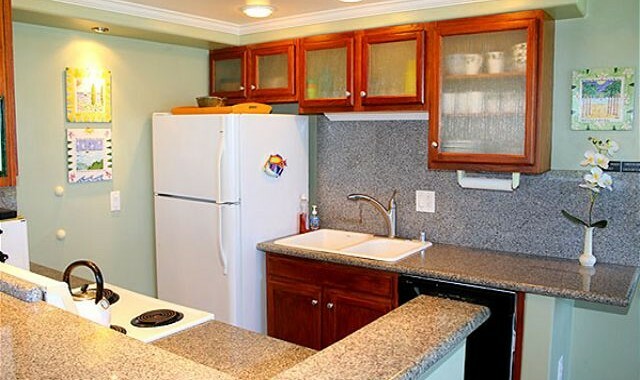 Solid granite counter tops and the latest “white on white” appliances. 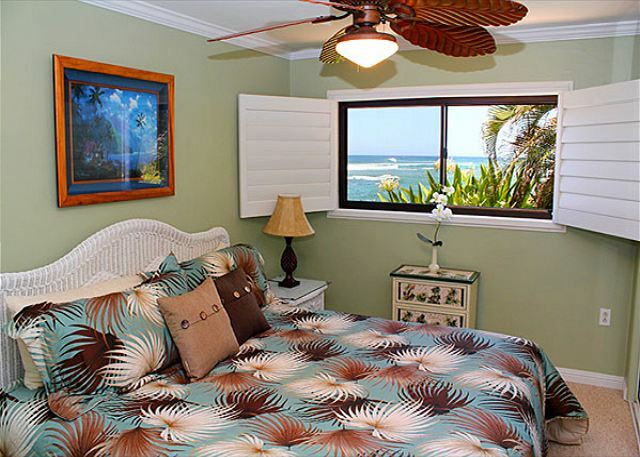 There are TWO incredible OCEAN VIEW BEDROOMS, each with ample closet space for extended stays. 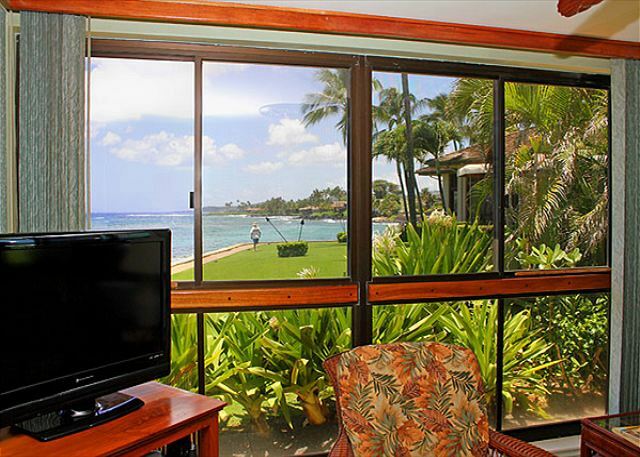 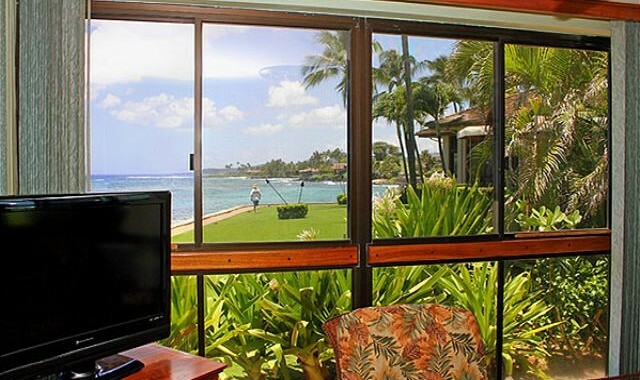 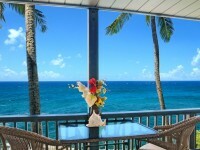 This is the ONLY location at Kuhio ShoresResort where the BEDROOMS feature OCEAN VIEWS. 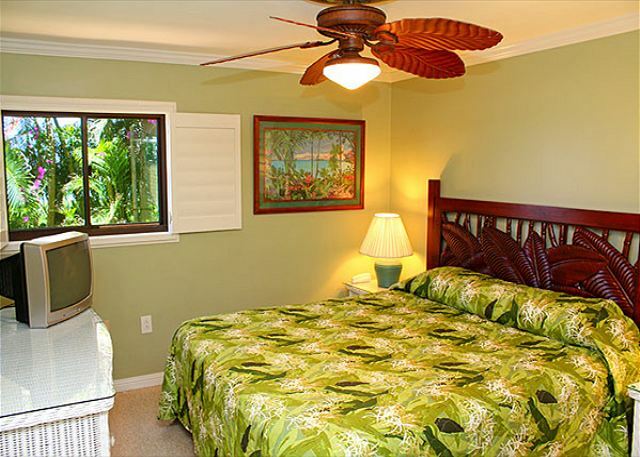 The FIRST BEDROOM SUITE features a terrific OCEAN VIEW, a King Size bed, and classic Hawaiian furnishings. 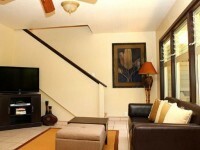 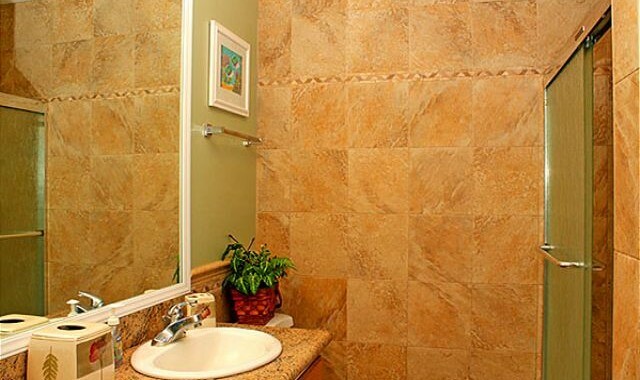 It is tastefully decorated utilizing local artists. 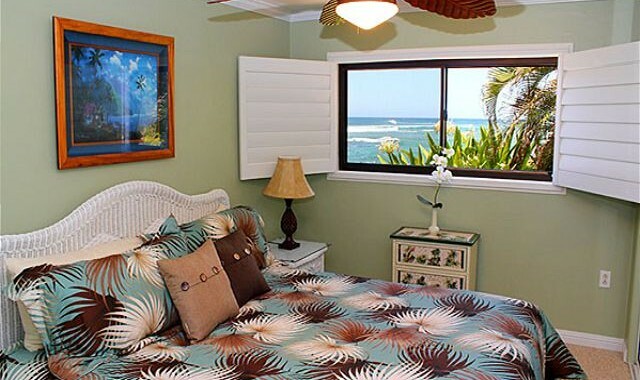 The bed is a Simmons Beauty Rest (firm) and has attractive Ralph Lauren bedding. 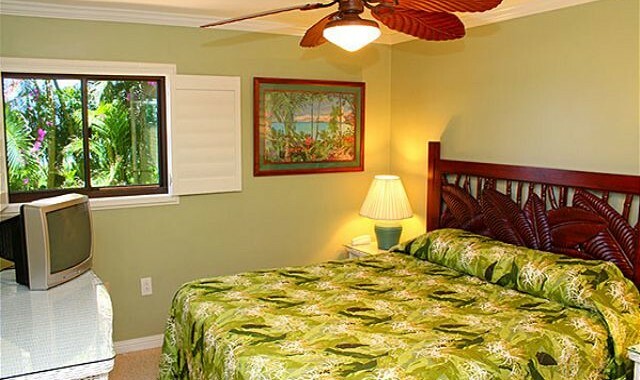 Your sleeping comfort was the highest priority here! 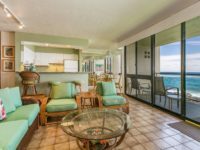 Ceiling fans, COOL OCEAN BREEZES, controllable lighting, color television, and a private bathroom and shower complete this suite.